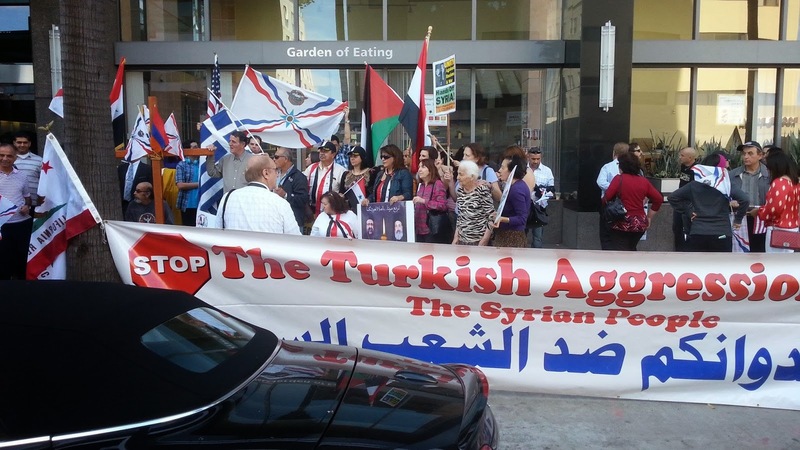 As news broke of the 13 Maaloula Nun’s release from terrorist captivity, a dedicated group of Americans descended upon the Turkish Consulate in Los Angeles, to protest Turkey’s support of Terrorism and Genocide in Syria. 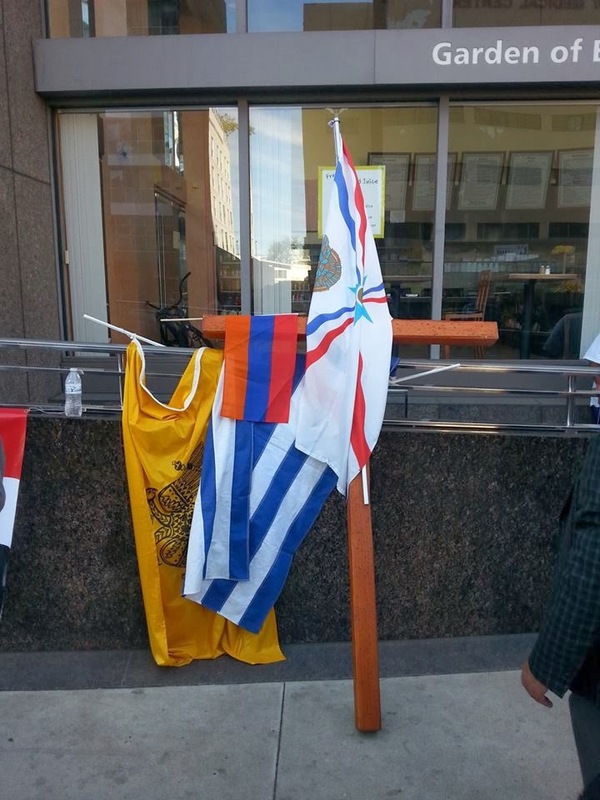 A Coalition of Christians and Muslims, made up of Assyrians, Armenians, Greeks, and Syrians gathered to voice their frustrations. 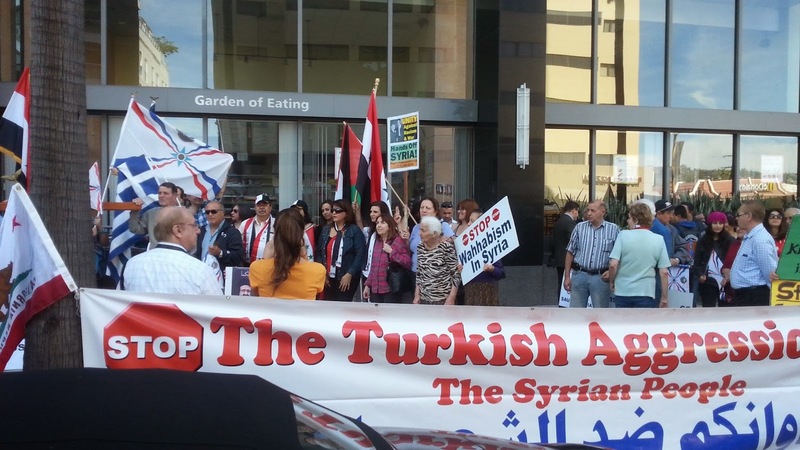 Their message was clear, stop supporting Islamic Extremists and their ongoing Genocide of Syria’s minorities. 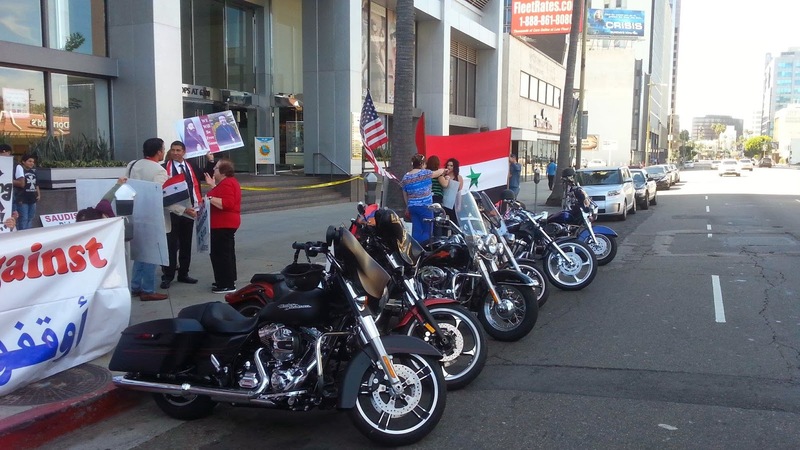 Groups such as the American Mesopotamian Organization, Arab Americans for Syria, and the Armenian “Harley Davidson” Brigade came out in full force yesterday. 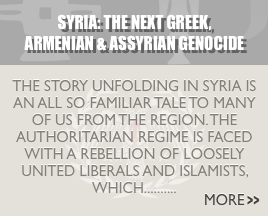 Among those in attendance who spoke were Greek-American Advocate Mr. Alex Aliferis, Armenian-American Activist Ms. Vanoush Khatchaturyan, and Chairman of the American Mesopotamian Organization Mr. David William Lazar. Other notable speakers included Mr. Haroot Roonizian, California Republican Congressional Candidate Mr. Paul Hannosh, Mr. Appo Jabarian, and Chaplain Bedros Hajian, founder of the Armenian American Christian Outreach. In a moving speech by AMO’s Chairman, Mr. Lazar called on Armenian, Greek, and Assyrian-Americans to come together to form a ‘constituent-based coalition’, purposed as the “Nicaean Coalition”. 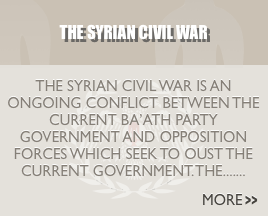 Mr. Lazar touched on the nature of Turkey as a rogue state, which has never been punished for its actions. Calling on our common experiences, as survivors of the Ottoman Genocides, Mr. Lazar said, “Our enemies didn’t divide us; they treated us equally by massacring all of us. During the Genocide, the murdering Turks had a saying they often used, and it goes something like this: ‘an onion is an onion regardless if it’s white or green all must be chopped”. 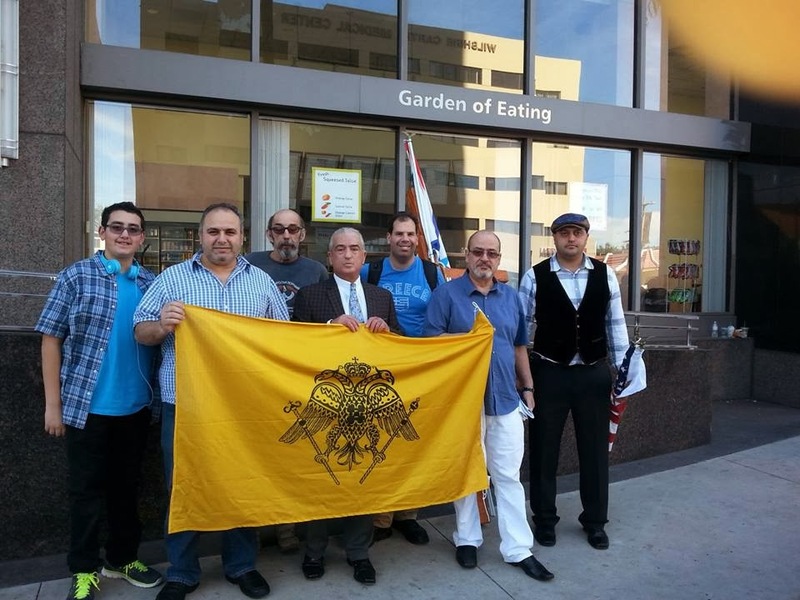 We, the Daimones, ask the established Greek-American organizations to reach out to the American Mesopotamian Organization, and make the Nicaean Coalition come to life. 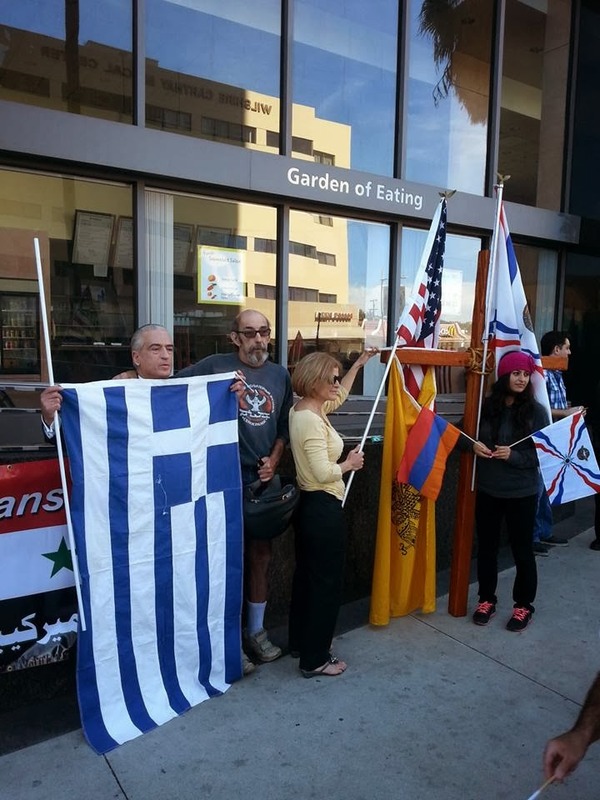 If Greek America can the vision and resolve to create the Congressional Hellenic-Israeli Alliance (CHIA), then why not a Congressional Hellenic-Armenian-Assyrian Alliance?